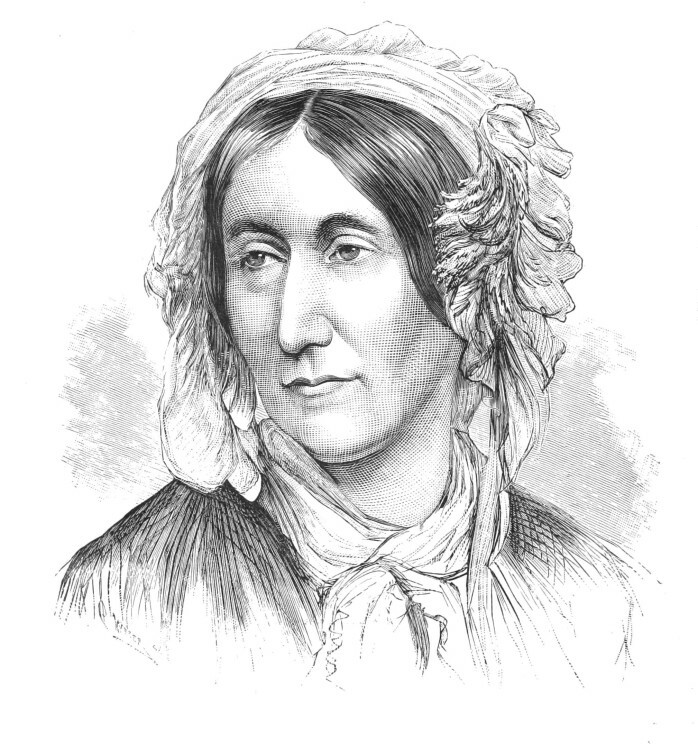 From 2017, ten-pound notes issued by the Royal Bank of Scotland will feature a new face; that of the great nineteenth-century science communicator Mary Somerville. Her book on mathematical astronomy, Mechanism of the Heavens – published in 1831, when she was fifty years old – was used as an advanced textbook at Cambridge for a hundred years. This is a phenomenal achievement for a woman who taught herself science and mathematics. It is also a poignant irony that such a scholarly textbook – it was said that no more than five men in Britain were capable of writing it – had been written by a woman, but was used at a time when most universities in the world (including Cambridge) did not admit female students. In celebrating the good news that Somerville is the people’s choice for the new gig, we could do worse than listen to the accolade given to her writing by one of the men she defeated in the public poll: James Clerk Maxwell. Father of the wireless electromagnetic era, he no doubt studied Mechanism of the Heavens as a student at Cambridge – and he certainly knew of Somerville’s second book, On the Connexion of the Physical Sciences. This was popular science rather than an advanced textbook, but Maxwell described it as “one of those suggestive books, which put into definite, intelligible, and communicable form the guiding ideas that are already working in the minds of men of science… but which they cannot yet shape into a definite statement.” This is high praise indeed. If Maxwell’s ‘men of science’ sounds sexist in hindsight, it is doubly important to remember that women were not allowed to join the academic academies – not even the Royal Society, whose aim was not so much the doing of science as promoting it. In other words, ‘men of science’ was fact, not opinion. Which makes Mary Somerville all the more remarkable. She went on to write two more science books – and a delightful memoir completed when she was 91 – but she was also a scientist in her own right. In 1826 she published a paper in the prestigious Philosophical Transactions of the Royal Society, based on her experiments on a possible connection between violet light and electromagnetism. Although her results were ultimately proved incorrect, initially such famous scientists as her friends John Herschel and William Wollaston, had regarded her experiment as authoritative. Her friend Michael Faraday would find the first correct experimental connection between light and electromagnetism, and then Maxwell would complete the puzzle with his magnificent electromagnetic theory of light. But he had such respect for Somerville that nearly fifty years after her experiment, he took the trouble to analyse its underlying flaw, in his Treatise on Electricity and Magnetism. Image credit: Mary Somerville by Popular Science Monthly Volume 25. Public Domain via Wikimedia Commons. Somerville corresponded with Faraday during her next series of experiments, in 1835. These involved testing the effects of different coloured light on photographic paper (photography was a new and fledgling invention at the time), and her paper was published by the French Academy of Sciences. The results of her third set of experiments – on the effect of different coloured light on organic matter – were published by the Royal Society in 1845. In her book Connexions, she had also conjectured that observed discrepancies in the orbit of Uranus – which had been discovered by another friend of hers, William Herschel, father of John – might be due to the effects of another body as yet unseen. After John Couch Adams and Urbain Leverrier independently discovered the existence of Neptune in 1846, Adams told Somerville’s husband, William Somerville, that his search for the planet had been inspired by that passage in Connexions. 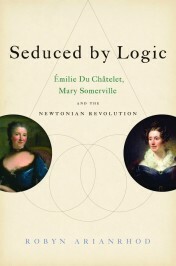 When Mary Somerville died in 1872, just before her 92nd birthday, she was widely acknowledged as the nineteenth century’s ‘Queen of Science.’ The day before she died, she had been studying cutting edge mathematics (‘quaternions’, which Maxwell was also studying, as it happens – he discussed their application to electromagnetism in his Treatise of the following year). But what makes Mary Somerville’s story timeless is her monumental struggle to understand the mysteries of science in the first place. It might be tempting to think she owed her success to the support of all her famous friends – and indeed, they did support her. But she had gained entry to the society of ‘men of science’ in a most extraordinary way. As a child in Burntisland, a village across the Firth of Forth from Edinburgh, Mary Fairfax had grown up ‘a wild creature’, as she put it. While her brothers were sent to school, she had been left free to roam along the seashore. Her mother had taught her enough literacy to read the Bible, and later she was taught some basic arithmetic. But everything changed when a friend showed fifteen-year-old Mary the needlework patterns in a women’s magazine. Leafing through it, Mary was mesmerized not by exquisite needlework but by a collection of x’s and y’s in strange, alluring patterns. Her friend knew only that “they call it algebra” (it was a worked solution to one of the magazine’s mathematical puzzles). Tantalized, Mary began studying mathematics in secret, reading under the covers at night. When the household stock of candles ran low too quickly, Mary’s secret was discovered and her candles confiscated – her father accepted the prevailing belief that intellectual study would send a girl mad or make her seriously ill.
Mary persevered for decades, teaching herself mathematics, Latin, and French. Eventually, she was able to read and understand both Newton’s Principia in Latin, and Newton’s disciple Pierre Laplace in French. She did it all alone, just for the love of knowledge. But when Britain’s ‘men of science’ and their wives finally discovered her learning, they were stunned. They quickly embraced her, but her public success was also possible because of the support of her three surviving children (three had died in childhood), and especially her medical doctor husband. At 91, while studying quaternions, she revealed one of the secrets of her success: whenever she encountered a difficulty, she remained calm, never giving up, because “if I do not succeed today, I will attack [the problem] again on the morrow.” It is a great aphorism to remember her by, as we celebrate the accolades that are still coming her way: Oxford’s Somerville College was named in her honour soon after her death, and now RBS’s ten-pound note. Featured image credit: Somerville College by Philip Allfrey. CC-BY-SA-3.0 via Wikimedia Commons. Robyn Arianrhod is an Honorary Member of Monash University’s School of Mathematical Sciences, and author of Seduced by Logic: Émilie du Châtelet, Mary Somerville and the Newtonian Revolution, and Einstein’s Heroes: Imagining the world through the language of Mathematics.